Ready to escape into the magical world of the woods in autumn? These studs not only display the beautiful form of the Acorn but also benefit from the gorgeous combination of silver with rose gold. Sterling silver and 14ct rose gold vermeil. 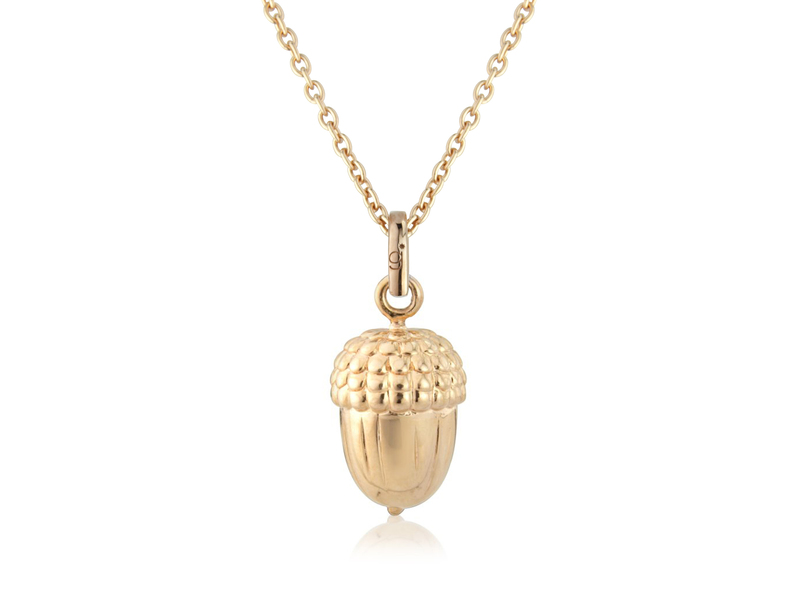 Acorn Box Pendant This pendant is a real statement, worn on a long chain and the beautiful Acorn opens up to add any treasure of your choice. 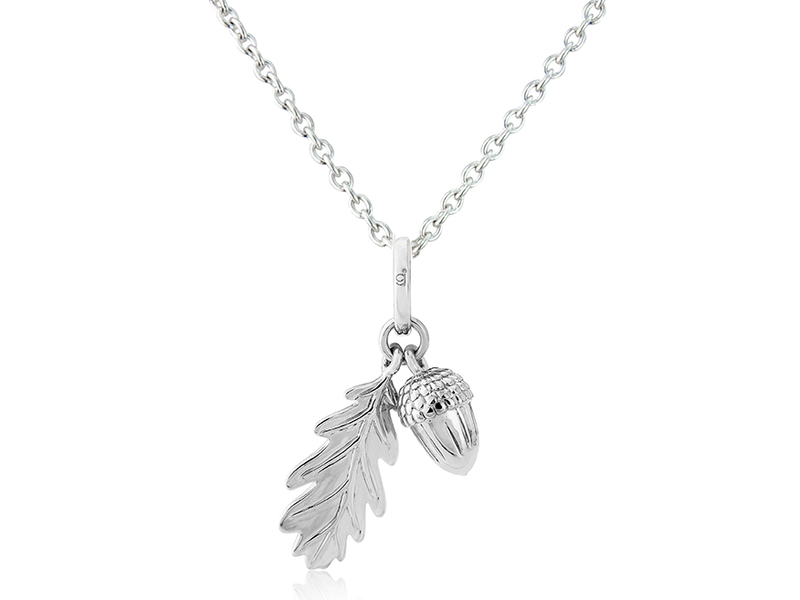 The chain is sterling silver and is there are 2 long adjustable lengths available. Sterling silver and 14ct rose gold vermeil. Size of pendant 25mm x 20mm. Acorn and Leaf Pendant Ready to escape into the magical world of the woods in autumn ? 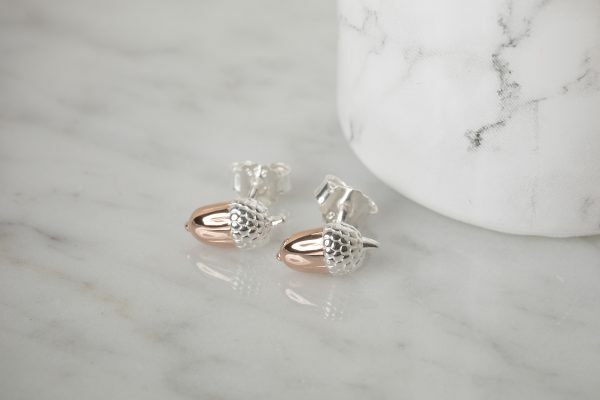 This pendant bows to the beauty of our natural world recreating the stunning form of the Acorn and its Leaf in sterling silver. Sold with 2 choices of adjustable silver chain. Pendant length 25mm. Beaded Acorn Bracelet Ready to escape into the magical world of the woods in autumn? This bracelet not only display the beautiful form of the Acorn but also benefit from the gorgeous combination of silver with rose gold. The silver beads are faceted to create a light catching sparkle and the length of the bracelet is adjustable from 18-20cm. Size of acorn charm 10mm long. Sterling silver and 14ct rose gold vermeil. 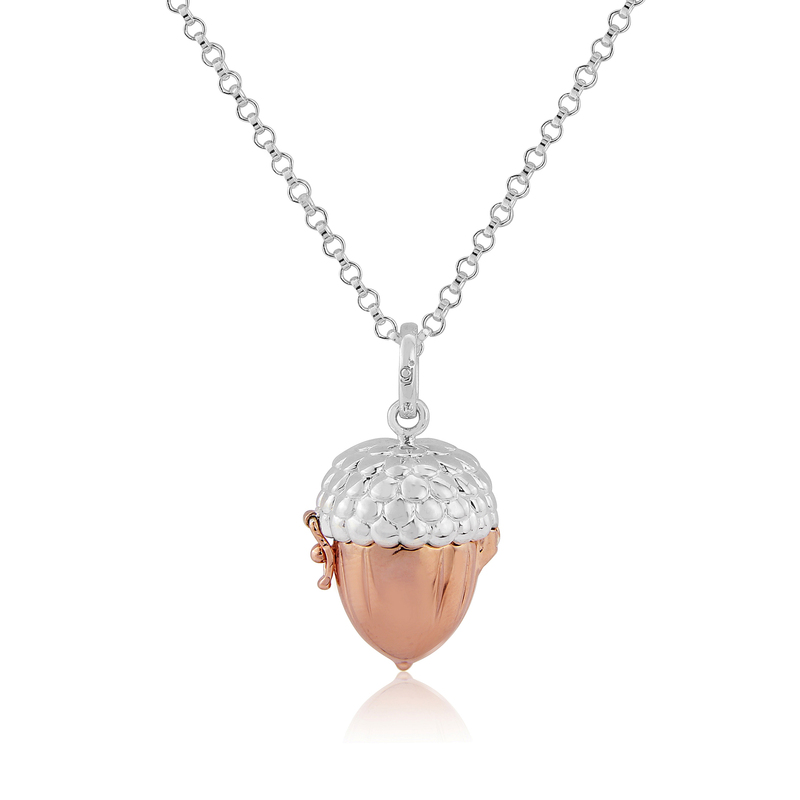 Rose Gold Acorn Pendant This pendant displays the gorgeous shape and form of the natural Acorn. On a choice of 2 adjustable lengths of chain. 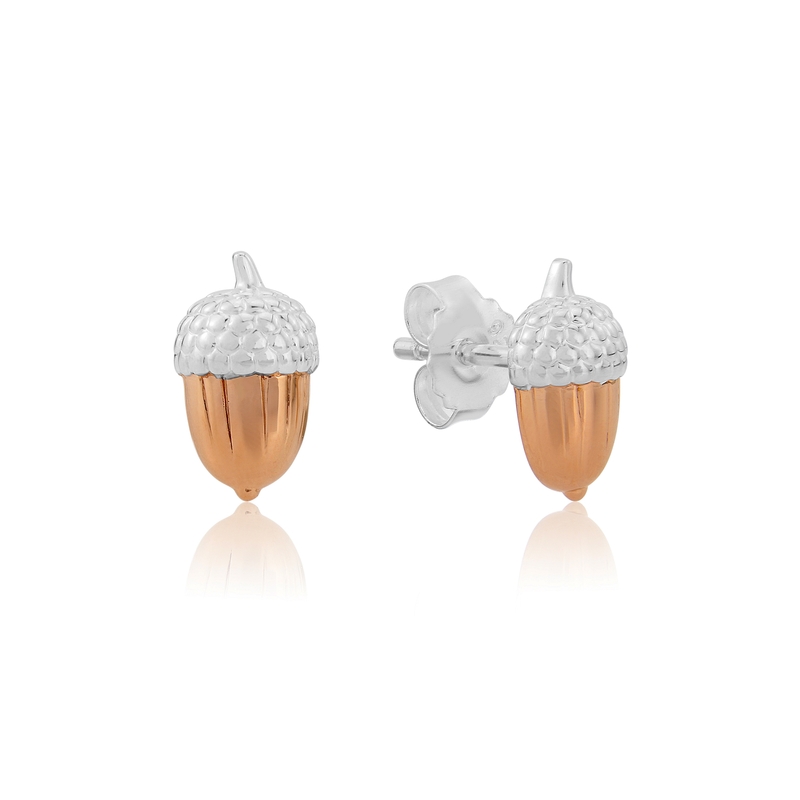 14ct rose gold vermeil Acorn size 10mm x 14mm.